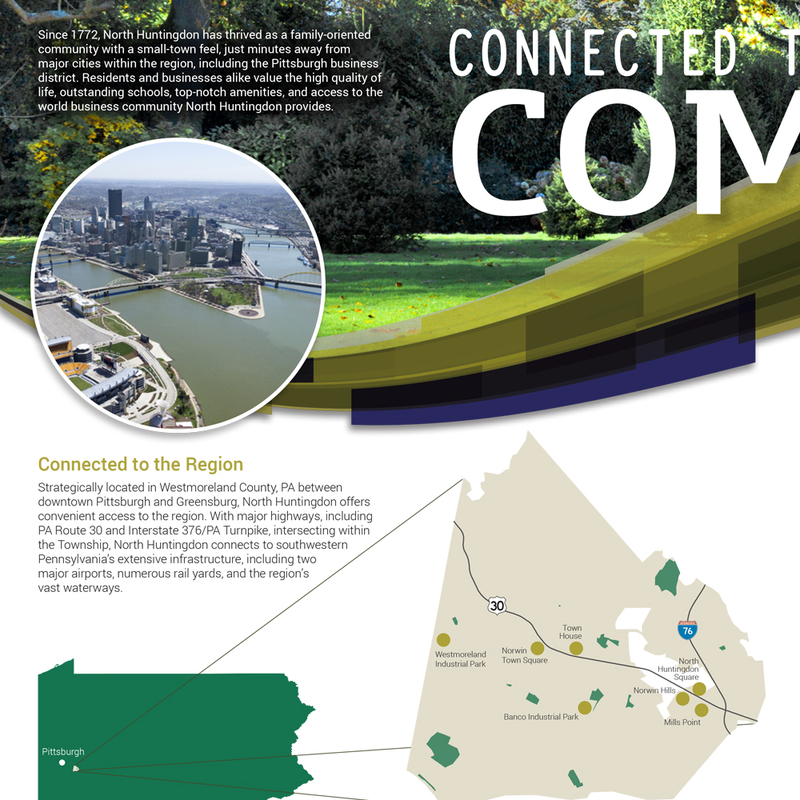 North Huntingdon’s strategic location between Pittsburgh and Greensburg, as well as its infrastructure assets, such as the PA Turnpike, Route 30, regional airports, and river ports make it a Pennsylvania community on the rise. With a population of about 31,000 residents, North Huntingdon Township is located on the western edge of Westmoreland County, Pennsylvania, about 19 miles from downtown Pittsburgh. While North Huntingdon serves, in part, as a bedroom community for employment centers to the east and west, it also has a strong and stable employment base of its own. This base has helped the Township in recent years retain employment options despite national recession trends. For example, while the national manufacturing sector continues to shed employment, North Huntingdon manufacturers are expanding, demonstrating strong employment levels. Despite these trends, North Huntingdon has struggled to develop its identity. The nearby downtown district of Irwin, a much smaller community entirely surrounded by North Huntingdon, is more widely known due to post office address, exit signs off of the PA Turnpike, and other identifiers. Regionally, North Huntingdon’s name recognition was lost — many regional residents were aware of the smaller Irwin, but were not aware of North Huntingdon’s location. The Township contracted with TrailBlaze Creative’s team to conduct an initial marketing assessment to survey the current state of the North Huntingdon brand and initiatives supporting the brand. Utilizing focus groups and surveys, a new identity package was developed for the Township. 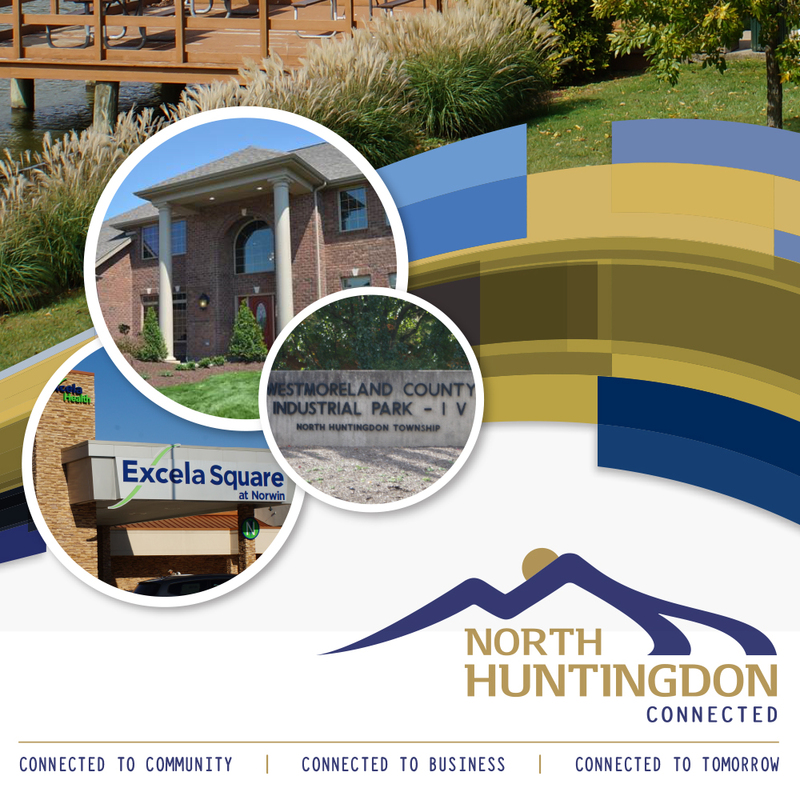 TrailBlaze also assisted the Township with the development of collateral materials, including brochures, folders, case studies, and fact sheets, aimed at attracting targeted development, business, and residential interests with North Huntingdon. North Huntingdon Township recently reengaged with the TrailBlaze team to support community growth initiatives. Currently, efforts are underway to expand the Townships collateral through additional and varied case studies. TrailBlaze is working to establish increased business activity and growth through work with the regional Small Business Development Center, efforts with the county, and cultivated activities within the Township.